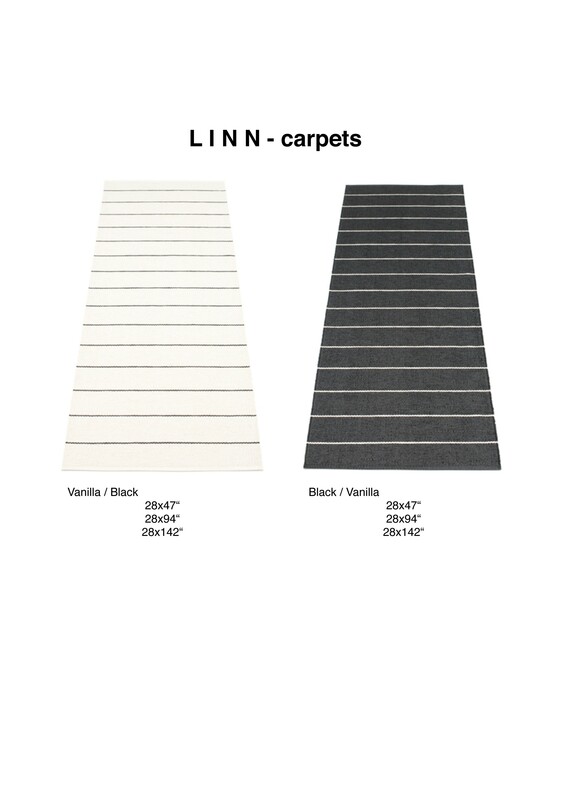 The LINN rugs are woven in a traditional weavery in Sweden. The material who is used for the rugs is PVC-plastic and polyester-wrap. CARE INSTRUCTIONS Hand or machine washable 86 F No spin and no tumble, drip dry. Be careful with the edgings. Rinse off ketch-up, do not rub.